Canada now ranks amongst the most expensive property in the world. New World Wealth (NWW), a South African based wealth analysis firm, composed their annual report on the world’s most expensive apartments. What you probably know is Canada has cities that rank amongst the most expensive in the world. What you probably don’t realize is how expensive some of these cities are, in a global context. Wealth analysts at NWW used prime real estate, for apartments in a typical size range suitable for high-net worth individuals. Since only prime real estate was used, there’s no averaging down for bachelor condo units in Vaughan, ON, or a 1 bedroom in Surrey, BC. These “typical” apartments are 200 – 400 square meters in size, located in the heart of these cities. While these apartments seem large, it represents a more accurate measure of pricing. There’s no bidding wars, and not a lot of assignment flips of this size. Millennials worried about being locked out of the market aren’t pushing prices higher. Buyers of these units have enough wealth, and patience to realize that there’s never in the history of the world, been a city that’s run out of land. Seriously. Never. The three most expensive places on the list were all traditional hubs of wealth. 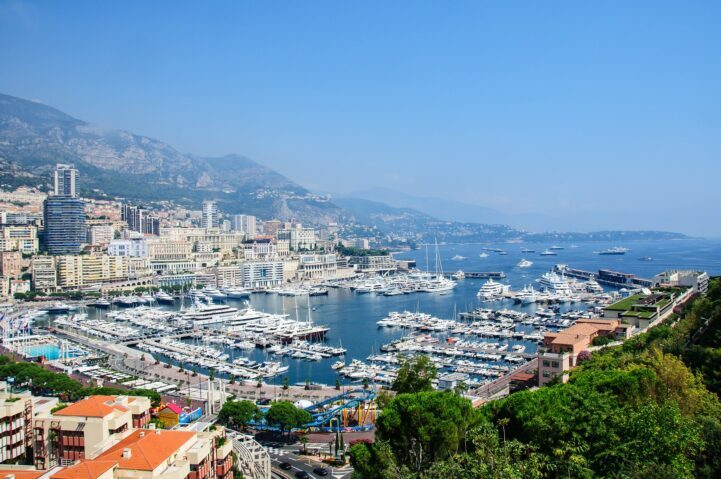 Monaco topped the list, where an apartment now costs US$48,000 per sq. meter. In second was New York City, where prices are now pushing US$37,000 per sq. meter. London came in third, where prices are now fetching US$35,000 per square meter. Two Canadian cities ranked amongst the top 30, a mixed blessing depending on who you ask. Toronto came in 21st, ranking with US$13,000 per square meter, an 8.33% increase from the year before. Yes, Toronto is more expensive than the extravagant property bubbles of Beijing and Shanghai. Vancouver was the only other Canadian city to rank, placing 27th. Analysts pegged property at US$12,000 per square meter, with no change in prices from the year before. The city ranked just after Palm Beach, USA and right above the Hamptons, USA. If you’re a Vancouver local, you probably see the irony of being between two resort towns for the uber-rich. Believe it or not, but prices in wealth hubs can decline. The largest drop was observed in London, where prices dropped US$7,000 per square meter, a 16.67% decline. Rome saw prices drop US$1,000 to US$13,000 per square meter, a 7.14% decline from the year before. The biggest jump in prices in the top 30 were observed in Sydney, and New York City. Sydney, Australia saw prices reach US$25,000 per square meter, a 19.05% increase from the year before. New York City saw prices reach US$37,000, a 12.12% increase from the year before. Sydney has been noted for a massive property boom over the past five years, while New York has been mostly stalled until this year. Since most of our readers are Canadian and American, we thought we would do an approximate calculation of what that is in square feet. Enjoy! So Vancouver is cheaper than Beijing or Shanghai – no wonder they keep buying. Vancouver is cheaper , yet safer, cleaner, more inclusive, prettier, than Beijing or Shanghai. A huge positive for international buyers is: how open Vancouver is to allowing the proceeds of international crime to flow into our real estate market, via casino money laundering, secretive legal firms, and as political donations. You can’t just totally ignore that Canadians have been enjoying the cheapest interest rate period in history for the past few years… It’s cheap credit who created this bubble.